Team Manitoba 3rd Dennis Thiessen is the featured athlete on the newly revamped CCA website. 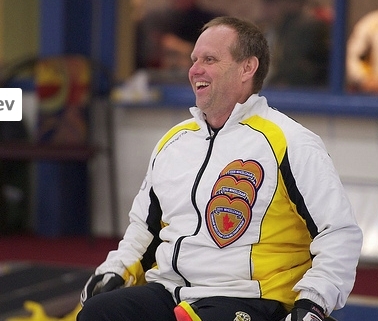 2011, after some local controversy over team formation, was a big year for Dennis and his teammates when, as Team Manitoba, they converted a string of three bronze medals into gold at the national championships in Edmonton. That win earned them an invitation to the end of September Team Canada Development/Evaluation camp in Richmond BC. Find out who Dennis would invite to dinner, and what his favourite website is, by reading Jean Mills' profile HERE. Wheelchair curling in the Yukon?